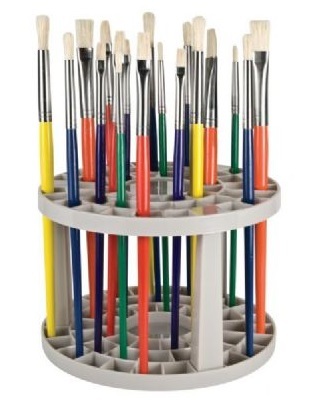 Round brush holder can be easily disassembled for cleaning. Holds a large quantity of brushes. 5¾" diameter x 4"h.